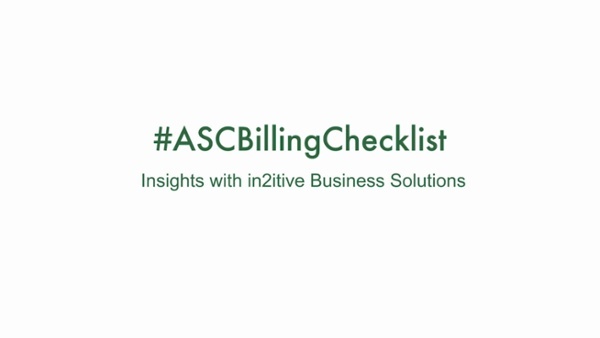 What is the ASC Billing Checklist? So the Billing Checklist is a nice little, I like to call, “cheat sheet.” It helps you stay organized and makes sure you have the information that you need to do the billing on a daily, weekly, monthly, and an annual basis. The billing and coding processes can always be overwhelming, but you have to look at it piece by piece and then put it together collectively. It’s a simple, easy process! The ASC Billing Checklist helps provide peace of mind because you know that you are on track and nothing is getting missed within your revenue cycle. For the full list of items, download the ASC Billing Checklist.